Imagine a place where just the two of you can escape. No kids, no work, no stress. That place is right here in Ludington. The quiet serenity, spectacular sunsets, and beauty of Lake Michigan are the perfect combination for a romantic getaway. And area businesses are ready to welcome you into their shops and restaurants, making for an unforgettable experience. You can start by reserving a room in one of the charming bed and breakfasts, known for their cozy rooms with whirlpool tubs and fireplaces. 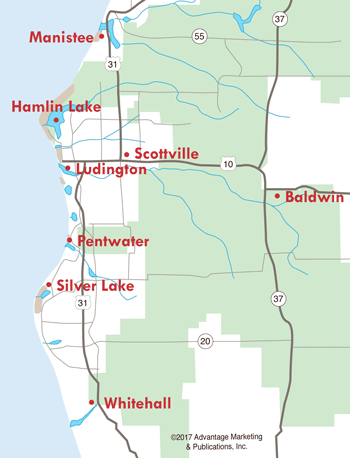 They're all located along Ludington Avenue close to downtown. Many offer special "romantic" packages that may include champagne, spa amenities and delicious breakfasts. 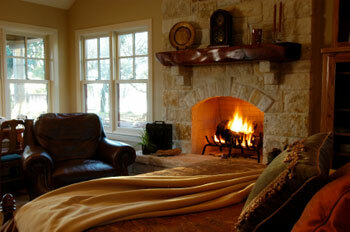 You'll enjoy the personal attention, cozy rooms, and appealing atmosphere you'll find at a Ludington Bed & Breakfast. Various motels and hotels in the West Michigan area also feature cozy rooms with whirlpools and fireplaces, with some offering a nice, hot continental breakfast. Most lodging facilities are within minutes from area restaurants, attractions, and our spectacular Lake Michigan beaches. 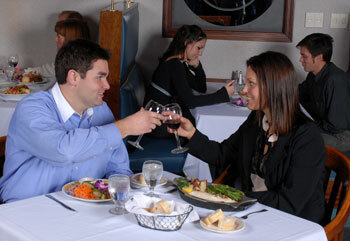 Enjoy a romantic dinner at one of our local restaurants. From steaks and seafood to Italian or Mexican fare, the two of you will have your choice of restaurants in town where you can relax and unwind. Small, intimate pubs, elegant but casual restaurants, quaint coffee shops..all perfect places to sit and chat while you satisfy your hunger. And prices are very affordable...just what you'd find in a small town. True relaxation begins when you surrender yourself to the skillful hands of a masseuse. Our area boasts many massage therapists that offer Swedish or deep tissue massage sessions. Choose just 30 minutes, or treat yourself to a full hour. Candlelight, soft music, trickling water...it certainly sets the mood for a special evening ahead. Whether you choose to visit for a weekend--or longer--you won't find a prettier setting at an affordable price. It's such a simple, comfortable life here; the ideal setting for the two of you to reconnect. Choose Ludington for your next romantic getaway. Click here for a list of accommodations that have special offers.